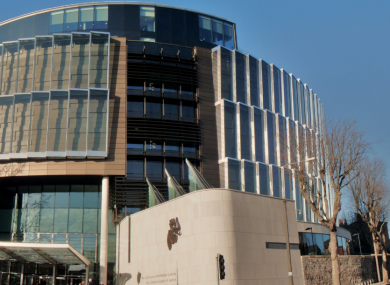 A DUBLIN MAN who claimed his late mother’s pension for 17 years after her death has been jailed for a year and a half. Father-of-two Brian Bobey (64) admitted stealing almost €160,000 in benefits from the State between 1997 and 2013. Handing down an 18-month sentence at Dublin Circuit Criminal Court today, Judge Patricia Ryan did not accept an offer made through Bobey’s barrister to repay the debt at a weekly rate of €50. The court heard it would take Bobey over 63 years to repay the State at that rate. Judge Ryan said the serious nature of the fraud over such a long period of time warranted a custodial sentence, but she excused Bobey from repaying the debt due to his medical conditions, his straitened circumstances and his remorse for the offences. The court heard previously that Bobey began claiming his mother’s pension after her death in May 1997 and stopped in October 2013, following an investigation by the Department of Social Welfare. In total, €158,726 was stolen by Bobey, who has not yet repaid any of the money and still lives at his late parents’ house in Walkinstown Parade, Dublin 12, with his partner and daughter. He met gardaí later by appointment and identified himself on CCTV footage entering a post office to collect the pension. Garda Gaynor agreed with counsel for the State that there was no evidence to suggest Bobey had been living “any sort of high life” from falsely claiming the pension. The court heard Bobey himself was in receipt of disability benefit since he lost the sight in his right eye as a result of a tumour. He also suffers from osteoporosis. Bobey has 15 previous convictions, the most recent of which was in 2002 for drink driving. The rest of the convictions are historic and relatively minor, dating back to 1971 when he was charged with loitering at the age of 18. Blaise O’Carroll SC, defending Bobey, said his client had cared for both of his parents who suffered ill-health in their final years, his father having pre-deceased his mother by two years. Bobey’s daughter Grace Bobey told O’Carroll that her father had always been there for her and supporter her in every way. “He’s a great dad, I can’t fault him, to be honest,” said Bobey. The court heard Bobey was born in the council house where he is still a tenant, paying rent of €35 a week, but that whether he will remain in the house is the subject of dispute with the council. His income from social welfare is €195 a week. O’Carroll said his client was one of six children whose father had been a gambler and a violent alcoholic who would come home every Friday and tell his wife there was no money left. As a child, Bobey worked for coalmen, breadmen and milkmen and gave all the money to his mother, with whom he was very close. He spent time in institutions in his teenage years after his parents failed to attend court when he was accused of theft of a bicycle. The court heard that this period in an institution gave rise to a later claim by Bobey under the Redress Board. His counsel said he had a “very difficult life overall” and that one of his daughters, the mother of his grandchild, had died by suicide in the UK. “He’s incredibly remorseful [for the offences],” said O’Carroll. Email “Man who claimed his dead mother's pension for 17 years jailed”. Feedback on “Man who claimed his dead mother's pension for 17 years jailed”.